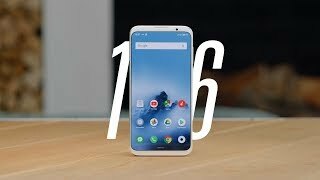 Прошло всего 4 месяца с момента презентации Meizu 15, как нам показывают 16th. Это странно, но дело в том что эти флагманы не имеют ничего общего между собой. Это как Galaxy S9 и Galaxy Note 9. Наконец-то флагман Meizu получил топовый Snapdragon 845, соотношение сторон 2:1, а также сканер отпечатка пальцев под экраном. Actually, everything you want. You can listen music via Bluetooth, you can use standard headphones as well, because Jack 3.5 remains. Not only Jack 3.5, but also TsAP still remain, that's why the sound from the headphones is just excellent. But for those, who deny the sound from the headphones, and watch our videos basically through the speakers in the train, there is a stereo sound: upper speaker and bottom speaker. The sound is loud, it certainly not the same as Note 9 or the iPhone 10 have, but it is clear, without wheezing, enough for any tasks. In general, that's all, now we can sum it up...but stop... We need to talk about the camera and the minuses, this is the most interesting! Camera has 2 eyes, The first module have 12 megapixels it is dominant with 1.8 aperture ratio, the second is already 20-megapixel, aperture ratio is a bit worse - 2.0, but there is a triple optical zoom,. Two focus modes - laser and phase. The cameras are located vertically in the center, under the cameras there is a six-segment flash. Plus, you can set it for incoming call or notification, i.e. it will not just blink, but light in turn, beautifully..
Everything is as it should be. So, what do we have? Meizu always had flagships with an average camera, although year by year the situation was improving. This time it has improved again. I will not say that this is the top solution, because at night the it takes photo so-so, it smears,. The video is not the best either. However, you can get a great picture during the daytime. If the lighting is perfect, then the photo will be super. It shoots portraits great as well. Separates person from the background - just perfect. What else to say? I would compare the camera to the Galaxy S9, at least the results are very similar, with the only one difference - the shutter is not that fast..
You can not make a series of photos, when all of them will have no blur. But at the same time there is a triple optical zoom, as already mentioned, and it works fabulous. The company applies powers the camera become at the flagships level. It remains to talk about the video. The video is not bad, there are no problems with the sound. But the focusing is average, although it might be corrected with the release of new firmwares. It's just a sample. But I will tell you a secret, that is unlikely. Well the frontal camera. 16 megapixels, the aperture 2.0, there are face improvement filters and various algorithms which I constantly I forget to turn off. That's why at the instagram I always look so beautiful, it makes sense to subscribe. But in general, the frontal camera is just good, only one thing irritates - it is located not in the center. Even can crush the phone on the ground, you'll not feel sorry. By the way, Meizu says that it'll not be broken in case of fall from 1-meter hight, very durable. But, for certain, I will not check this. Further Here we come to the minuses. One giant minus, many of you can guess what it is. Yes, there is still no NFC, and it becomes some kind of curse for Meizu, the company needs to get rid from this curse faster. Well, seriously, the second half of 2018, and they eve have no single smartphone with which you can pay in the store..
That's not ok. Meizu promise, promise that NFC will be in the next flagship. You can believe it or not, it's not clear yet. What I forgot to tell? Autonomy It's not clear how long the smartphone can stay, but the battery here is weak - only 3000 mAh..
What is hardly enough until late night, but until the evening seems to be ok. Of course, fast charge M Charge is supported, but unfortunately, there is no wireless charging..
And this is the second minus of this device. What's left? There is no information about the price for Russia, But in China for "16th" they ask 2 700 to 4 000 yuan, that is about 26 000 to 40 000 rubles..
What is not expensive at all for the Snapdragon 845 and for the fingerprint scanner under the screen. I think that the top version of "16th +" in Russia will cost somewhere around 50 000 RUB, well, maybe more.. But if they ask for a minimal version below 35 000 RUB, it will be absolutely fabulous. As a result. Despite the fact that the Maizu 15 came out quite recently, it can not be compared with Meizu 16, because it's a completely different smartphone. For different audiences. If new screen standards are alien to you, then take the 15. If you are an innovator, you want something new, then this is definitely the 16th. Certainly frustrating is the absence of NFC and wireless charging. But many people even with difficulty, will say that Meizu made an ultramodern flagship..